Download iOS 7 Beta Direct Links - iPhone 5/4S/4 iPad 4/3/2/mini, iPod Touch 5G, 4G - iPhone.MY - Daily News On Mac, iPhone, iPads, iPods and more! 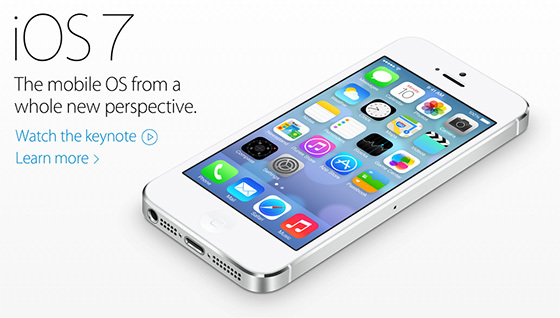 During WWDC 2013 Apple has announced the completely redesigned iOS 7 with its new awesome features. If you missed the WWDC 2013 event, you can check out iOS 7 official video to check the new features that landed to iOS 7. Apple confirmed that iOS 7 will be released for public by this fall. Now, Apple has just released iOS 7 beta 1 version for developers only, but if you are not a developer, don’t worry you can download it directly from the below links. You have to know that first beta version is not stable and it’s expected to see many bugs. If you are using ultrasn0w or Gevey SIM, you may lose your unlock due to upgrading baseband.